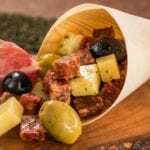 New Zealand is usually a solid marketplace at the Food and Wine Festival and this year they’re back for more. Some of the items include: Steamed Green Lip Mussels, Lamb Meatball andSeared Venison Loin. Does it live up to its reputation? 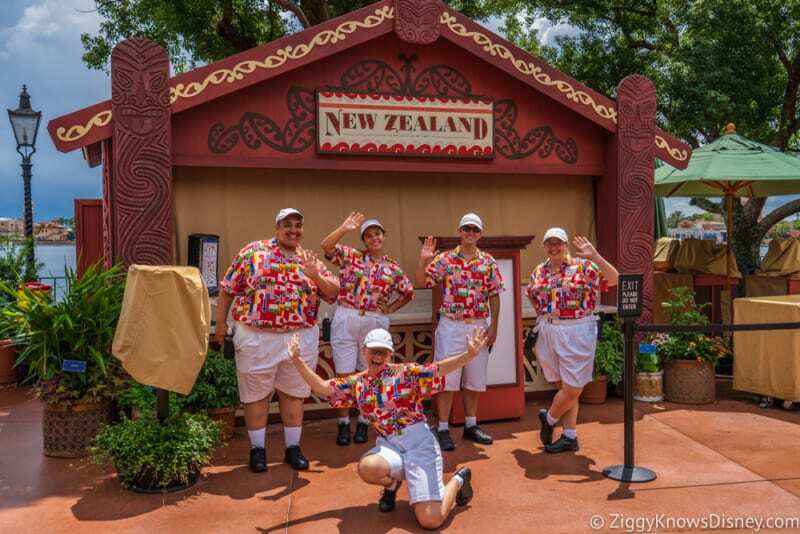 Let’s see in my New Zealand Review for the 2018 Epcot Food and Wine Festival…. 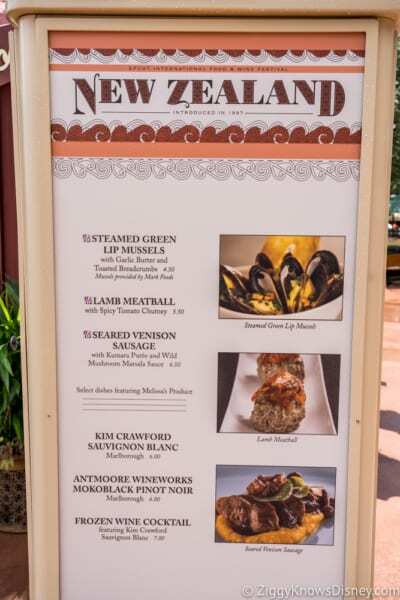 It’s hard to miss the New Zealand marketplace and you’ll find it almost immediately upon entering World Showcase and going right towards Canada. Everyone is so friendly in New Zealand! While some marketplaces change constantly, New Zealand is one of the most conservative year after year. 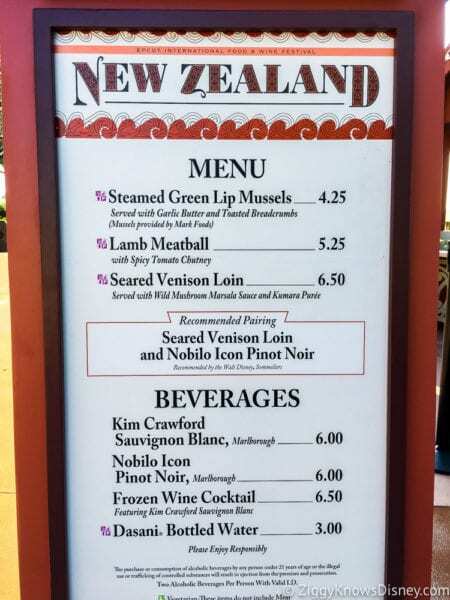 2018 is no different and the New Zealand menu is exactly the same as last year just with minimal price increases of 0.25 or 0.50 cents. We always love the Green Lip Mussels, they are consistently good. Always fresh and deliciously prepared in garlic butter and breadcrumbs! So yummy!!! Each one is pretty big two, these aren’t the small black mussels you are used to seeing on pasta for example. 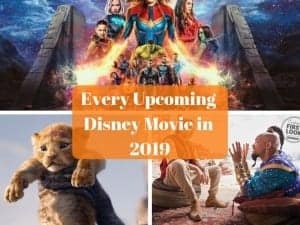 The problem is that Disney cut the quantity this year on them (like they’ve done on a few other popular items) from 4 to 3. This really infuriates me honestly, especially since they probably don’t think the majority of people will notice. Charge me more if you have to, but don’t cut my portions! 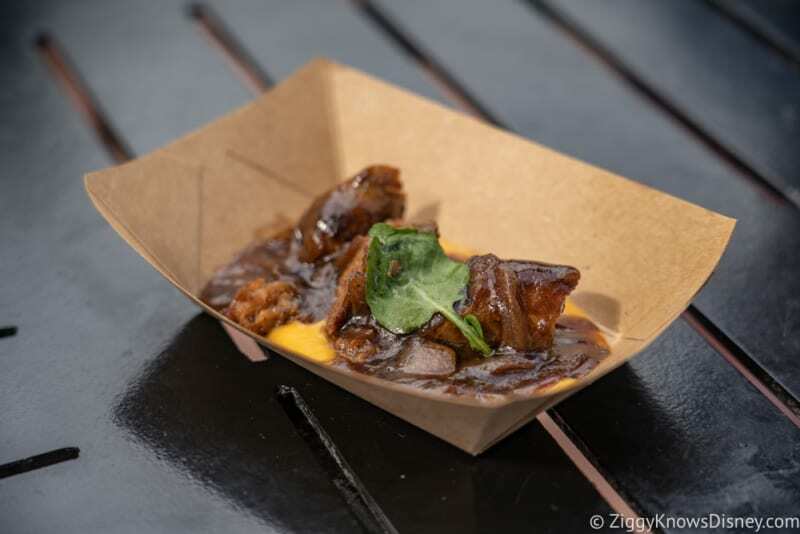 This is another Food and Wine Favorite that we always love and this year is no different! The lamb (which isn’t super gamey tasting) is really moist and prepared in a delicious tomato chutney. It says spicy in the title, though we didn’t find it overly spicy, just right imo. The tomatoes were actually a bit sweet with counteracted the spiciness. We also love the shell it comes served in which is like a pastry puff shell. Also prepared nicely and not dry. Mouthwateringly good and a must-get! Our last food item was the seared venison sausage. New Zealand has a way of preparing gamey meat to not taste that way and this was delicious like the lamb. Not a ton of it, but very tender. I love the gravy that comes poured on top, they aren’t skimpy with that. It’s a marsala sauce with mushrooms which is paired awesomely with the meat. Honestly I had to look up what Kumara is and I found it’s actually a town in New Zealand. The puree itself is sweet potato, which I’m not a huge fan of, but it was drowned out pretty much my the sauce anyways. Another good option and a winner in my book. 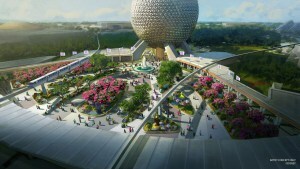 Any trip around World Showcase in late August needs one of these, or two! This cooled me down as much as a drink could ( I got throat freeze) and I drank this with no problems. It’s made from Kim Crawford wine which is pretty fruity, and we couldn’t get enough! Not a bad size either! 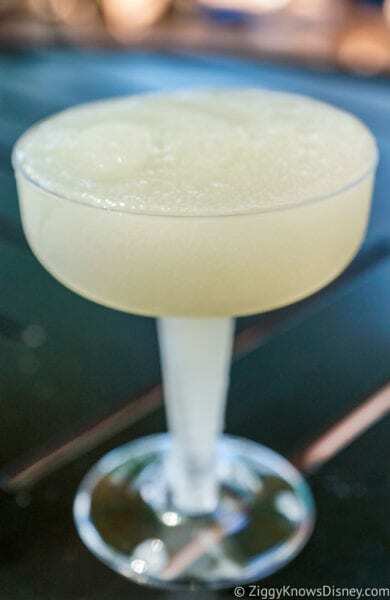 Zesty and refreshing, you’ll love it! Overall the New Zealand marketplace was really good. 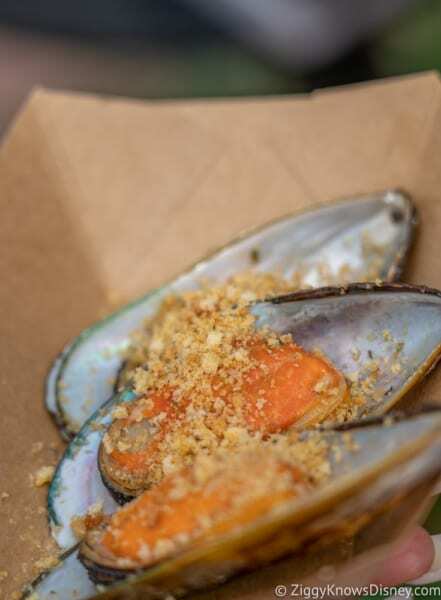 We love all the food items, they are really delicious, we just don’t like getting one of our mussels taken away this year. 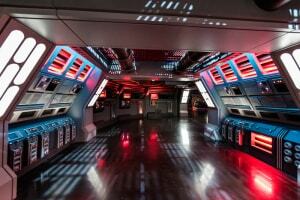 My only hope too is that next year they will introduce something new, even a dessert would be nice! Not MUST-TRY level, but really good. 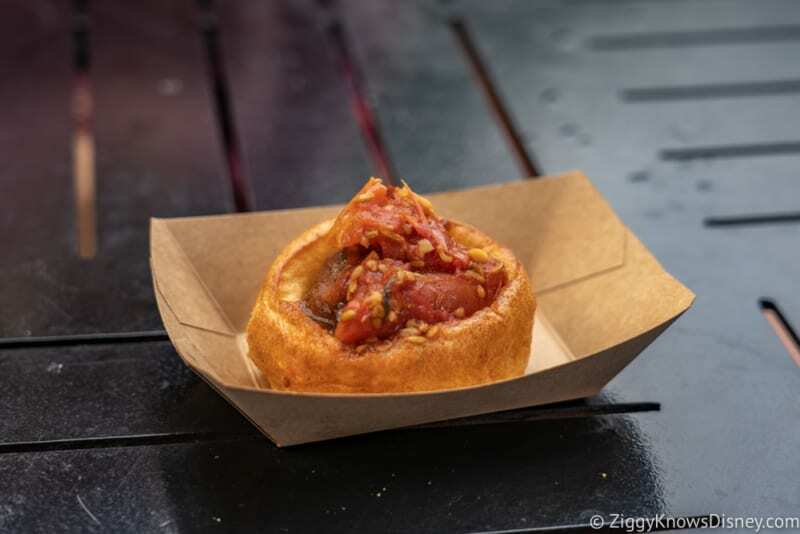 Take a look at all of my 2018 Epcot Food and Wine articles. 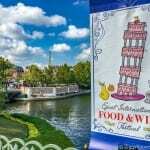 I have a 2018 Epcot Food and Wine Info Guide with a Complete Index of the Food and Wine Menus, The Top NEW Items for 2018, Top Food and Wine Booths and more…I want you to be able to have the best info on the Festival so you have a great time and don’t waste your time!